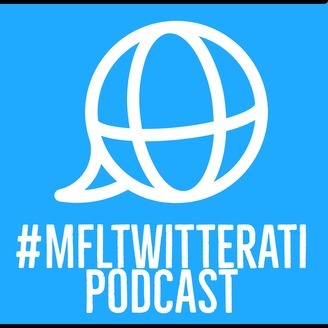 Welcome to the #MFLtwitterati podcast, a podcast designed to celebrate the voices of the modern language teaching community in the UK, Ireland and beyond by showcasing the amazing ideas and resources they share on Twitter with your hosts Joe Dale and Noah Geisel. Unsurprisingly Noah and I are big podcast listeners and in Episode 4 of the #mfltwitterati podcast, we recommend some of our current favourites from the UK and the US. We start with ones produced by language teachers, of course and then move on to ones with an edtech focus. We share tips on how to find new podcasts to check out from podcast friendly hashtags to episode specific keyword searches and we give a shout out to a brand new social network aimed at connecting like-minded podcast fans! How cool does that sound! If this wasn't exciting enough we also hear about a time saving hack to create vocabulary sheets using Google Translate and a great opportunity to take part in a global e-zine for learners of Spanish. Next, we get creative with the Language Stones initiative before diving into some great tech and non-tech revision ideas to help students prepare for their upcoming GCSE exams. Our TechTalk interview for this episode features a lovely chat with Head of Modern Languages, Jane Basnett about her edtech journey in recent years and her reflections on the power of technology in the languages classroom. 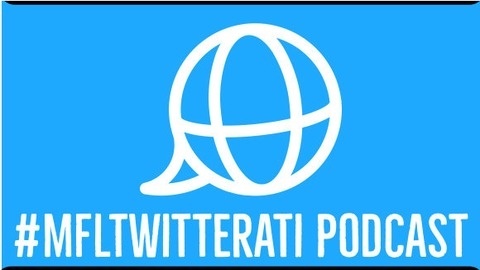 Full show notes with clickable timestamps can be found at: https://mfltwitteratipodcast.com/EP4 You can follow Joe (@joedale) and Noah (@SenorG) on Twitter, and follow the hashtag #mfltwitteratipodcast for more info. You can also email us with questions or ideas, info@mfltwitteratipodcast.com and subscribe to our newsletter to keep updated about the latest episode.